Betty has been with the CENTURY 21 team since 2005. She has completed the Graduate of Realtors Institute GRI. She has been a Million Dollar Producer within the Altus Association of Realtors each year from 2006 to present. She also has been a Multi-Million Dollar Producer within the CENTURY 21 system from 2006,2007,2008,2009,2010 and 2011. Betty was presented the Horizon Award by her peers of the Altus Association of Realtors and was voted best Realtor in Southwest Oklahoma 2007 and 2009. In 2007 at the National Convemtion Betty was presented the highest award the Century 21 system has to offer, the CENTURION PRODUCER award. In 2007 she was 18th in gross closed commissions and 10th in units sold among CENTURY 21 Realtors in Oklahoma, Arkansas, and Northern Louisiana. Betty completed the Broker Associate in 2008. Betty enjoys meeting new friends and clients, providing them with her expertise in marketing for her Sellers and giving whatever time neccesary to find the perfect home for Buyers. Whether it might be your first hime, retirement home, or your dream home for the growing family. 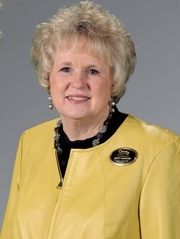 Betty was named Realtor of the Year in 2011 for the Altus Association of Realtos, and will be serving her association as State Director for 2012. Betty and her husband Kenny are active in their church and other civic groups. They have two children and five grandchildren. They have lived in SW Oklahoma their entire life.